It was my 30th birthday yesterday. I got up around 7.30am when hubby was going to work. He gave me my birthday card in which he’d written a lovely paragraph about how much he loved me. 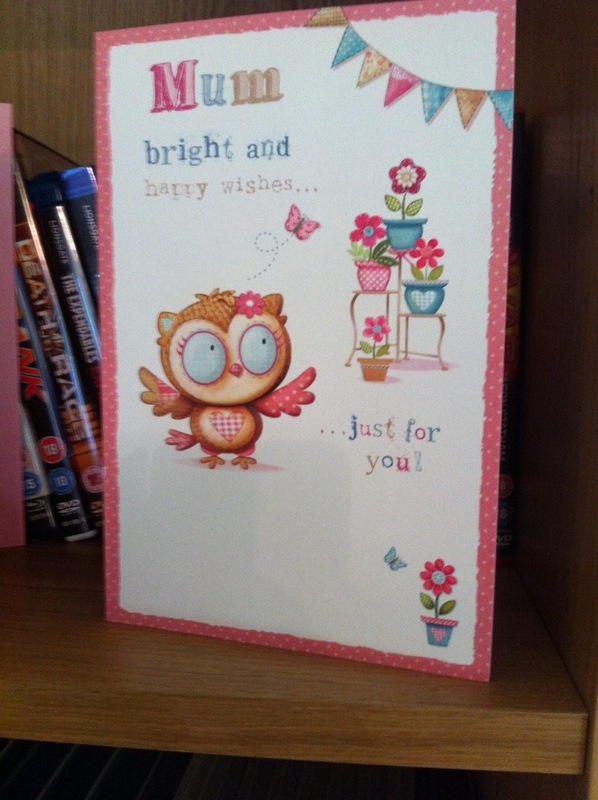 He also gave me a card from Little Miss – my first card as a mummy! I didn’t have any plans – difficult to plan anything at the moment. If I could drive I would’ve gone out for lunch with Little Miss. As it turned out that idea was a no-goer anyway as Little Miss was unsettled all morning. Tuesday/Wednesday night she just wouldn’t burp after a feed and when she has wind she starts crying. So I didn’t get much sleep and when I’m tired I get emotional and cry a lot! Ultimately this meant that my birthday morning was spent trying to settle Little Miss and crying! I couldn’t even go for a wash because she wouldn’t settle long enough! By lunchtime I was feeling so crap that I phoned the hubby to tell him to cancel our birthday plans as I was not feeling sociable. I told him that when he got home I wanted to go for a bath and go to bed. After lunch I managed to get Little Miss to settle and even managed to have a bit of a nap so was feeling much better! At around 4pm I woke up and was lying on the sofa when I heard the doorbell ring. I wasn’t expecting any visitors so I decided not to bother with the door just in case it was my grandmother. She lives locally but I don’t really get on with her – I’m polite enough but she’s hard work. The way I was feeling yesterday I just wasn’t up to dealing with her! Anyway, my mobile started ringing and it was my Dad – he was the one at the door! I didn’t expect to see him! He was going to the hospital to see the consultant (he’s had the all clear now – not quite sure what was wrong exactly but whatever it was it’s sorted!). It was nice to see him on my birthday! His wife and my half brother was with him. My Baby Bro (he’ll be 4 in May) wanted to see her with her eyes open but there was no way I was waking her up after her finally settling!! Hubby phoned on the way home and I said we’d go ahead with our birthday plans. It wasn’t much but his parents were coming over with Chinese takeaway for us. 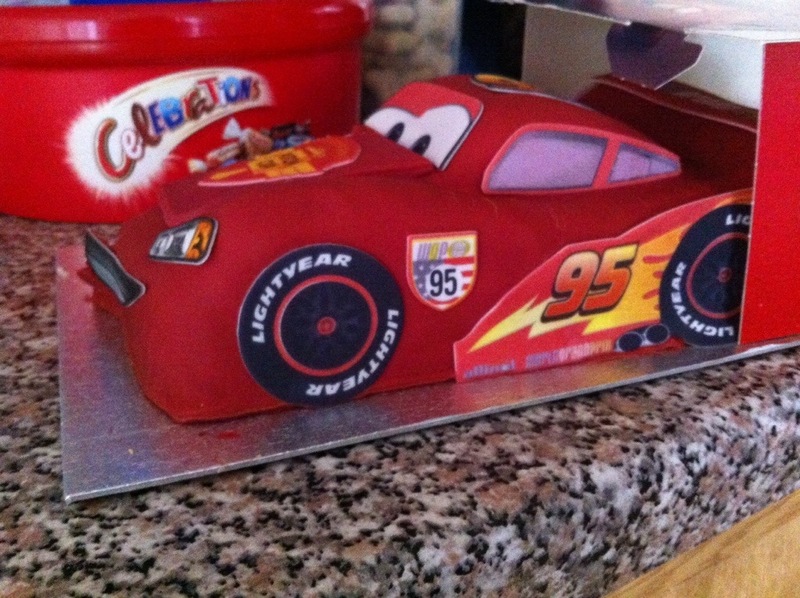 They also brought a Lightning McQueen cake for me! They also bought me the Rush blu ray. I’ve only seen the film once but it was fantastic! I can’t wait to watch it again! We went to bed early last night – was 9.30 when we went up bit after 10pm when we had fed, changed and settled her. She slept through until 2am and then from 3am to around 6.30am. Needless to say I was feeling much more human today!